Friends may have ended over a decade ago, but we still love watching and reminiscing about the gang and all their adventures. Plus, we sometimes get new details from the actors about things we may have missed when the show was on-air. Like remember that sling Joey wore? 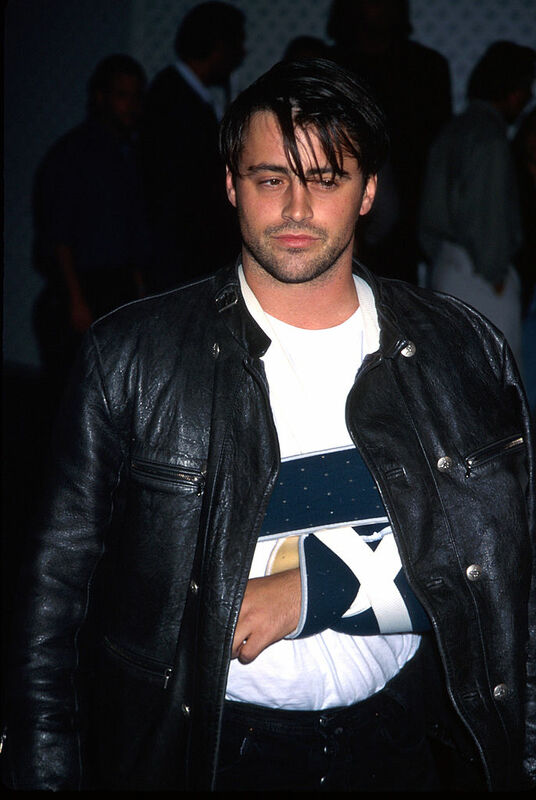 Matt LeBlanc, who played the beloved Joey, divulged some television trivia gold when he recently spilled on that scene from the episode “The One Where No One’s Ready,” in which Joey and Chandler are fighting over a big down chair. Specifically, we got the scoop on why exactly he had to wear a cast IRL (because even though a fictional reason was written in for the show, it was, in fact, a very real cast). "I had to step over the coffee table and land in this big, huge comfortable chair. I don't think it even qualifies as a stunt. Somehow I ended up completely upside down, and I was going to land on my head between the table and the chair so I put my arm up to break my fall and just exploded my shoulder. So I get up, and everyone thought it was part of the show and everyone was laughing." Sadly, it wasn’t a joke, and Matt was in excruciating pain. The kicker? Everyone in the audience at the time had won a contest to be there. After the shoulder incident, they were all sent home, and Warner Brothers had to fly them all back for an episode later on. Thankfully, Friends was able to write Matt’s sling into the show — because “Joey was jumping on the bed.” The more you know!